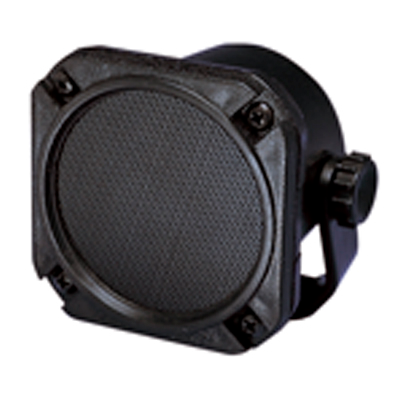 Weatherproof communication extension speaker in a compact robust black plastic cabinet. Can be used as a CB speaker. Asjustable mounting bracket is screw or adhesive fixing. 2m lead with a 3.5mm jack plug.